I am a Maidenhead based therapist offering individual counselling that will support you with your current difficulties and help you make changes in your life. I have many years' experience offering professional help to people from diverse backgrounds. I participate in peer support groups and on-going professional development to ensure my practice offers the best possible care. I regularly attend supervision. 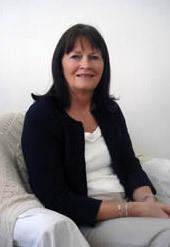 My work is integrative using cognitive-behavioural (CBT), person-centred and psychodynamic therapies. I am UKRCP registered and an Accredited member of the British Association for Counsellors and Psychotherapists and work according to the BACP Code of Ethics. I have an Honours Degree in Psychology and a Post-Graduate Diploma in Counselling Psychology from Roehampton University.